Countries hosting Gazprom’s European super pipeline will not have to revise earlier agreements that technically break EU law. Russia and the EU have agreed on further cooperation on a route that will satisfy Europe with 15% of natural gas needs by 2018. Gunther Oettinger, the European Commissioner for Energy, told Vedomosti newspaper that Moscow and Brussels will find a solution to honor previous intergovernmental agreements Gazprom has made with European transit countries. Oettinger met with Russian Energy Minister Aleksandr Novak in Moscow on January 17, and the two agreed to create a commission to address technical and legal details of the gas pipeline, which will stretch 2400 km, and by 2018 will have the capacity to deliver 64 billion cubic meters of natural gas to Europe. 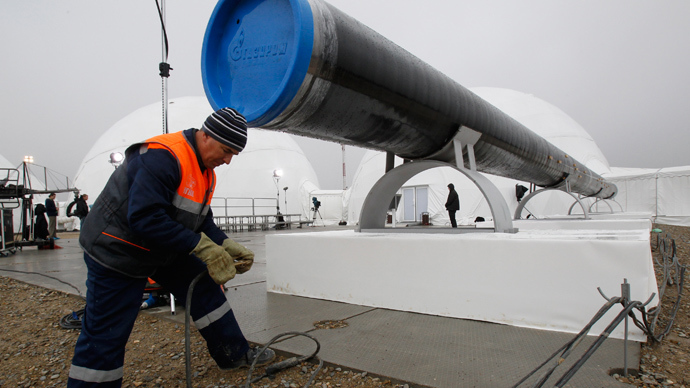 “South Stream can function normally under European Commission laws,” Russian Deputy Energy Minister Anatoly Yanovsky said. The route will supply Europe with 15 percent of its gas requirements via pipes in Eastern Europe and under the Black Sea. The EU’s ‘Third Energy Package’ regulations aim to protect third party access to pipelines, and as a result prevents Gazprom from both owning the pipeline and the product shipped through it. Moscow broke ground on the South Stream project after securing agreements with Austria, Bulgaria, Croatia, Greece, Hungary, Slovenia and soon-to-be EU member Serbia, but ignored the European ‘anti-monopoly' law. A delegation of Eastern Europeans requested the European Commission to help broker a deal with Russia on their behalf. 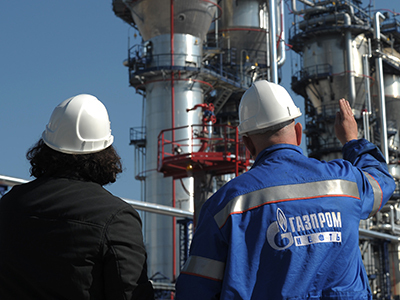 Separately, the EU has launched an antitrust investigation into Gazprom, and the company could face a fine of up to $15 billion for unfair pricing, and its over-dominant role in the European gas market. 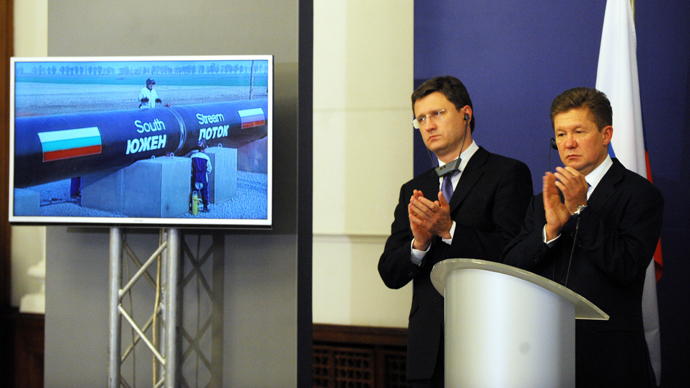 Gazprom opened an office in Brussels in December, and Deputy Chairman Aleksandr Medvedev paid a visit for the opening. An EU-Russia summit will take place in Brussels on January 28 between Russian President Vladimir Putin, President of the European Commission Jose Manuel Barroso, President of the European Council Herman Van Rompuy, and the EU’s top foreign policy official, Catherine Ashton. Tensions between policymakers will be high because of fresh protests in Kiev, which snubbed closer relations with Europe in favor of a $15 billion debt deal and gas discounts from Russia. 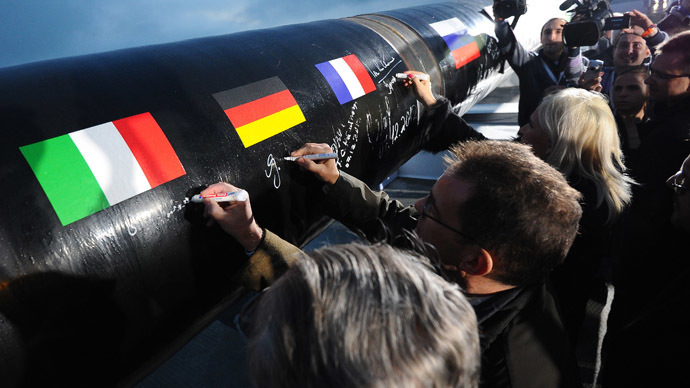 Strategic partners in the South Stream project are Italy’s Eni, France’s EDF, and Germany’s Wintershall, European utilities that want to see the project become a reality to reduce reliance on gas deliveries from North Africa. The South Stream pipeline will help ensure the reliability of gas supplies to Europe, as it will bypass politically unstable Ukraine. In the winter of 2009, deliveries through Ukraine were disrupted for a 3-week period, which left customers in Europe without heat and cost Gazprom (by their estimates) around $2 billion in losses. Gazprom has strong support from Germany, Europe’s biggest energy consumer, where the sister project called Nord Stream, connects Russia and Germany under the Baltic Sea, and was opened in November 2011.Partners in Nord Stream are Dusseldorf-based E.ON, Germany’s largest crude producer Wintershall, French gas utility GDF Suez, and the Netherlands’ operator Gasunie. Gazprom thinks the $45 billion South Stream project will pay for itself in 15 years, as the company will save on expensive Ukrainian transit fees, and will also have a brand-new transport grid, instead of Ukraine’s aging pipes. "South Stream would be profitable from day one. 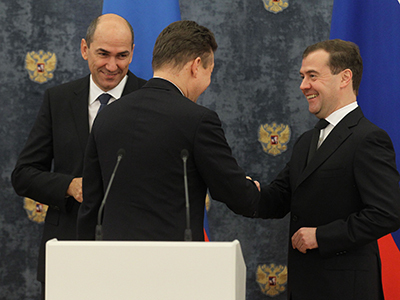 We expect an investment return within 15 years of its operation," Medvedev said in December, as quoted by Reuters. 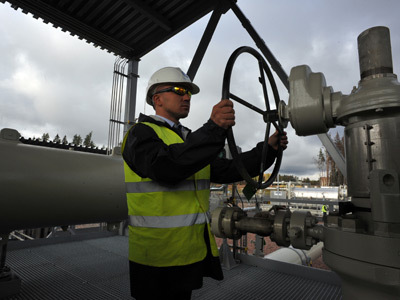 Gas deliveries to Europe from Russia dwindled in 2013, only reaching 162.7 billion cubic meters, the Financial Times reported. The gas major’s value is dropping on weak demand from Europe and the changing landscape of the LNG market in the east. The South Stream project is vital for Russia’s diversification strategy for gas supply routes to the EU, and to compete with the rival EU-backed Nabucco pipeline project. 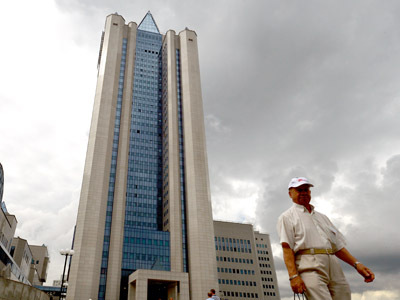 Eni, Italy’s largest industrial company and a 20 percent stakeholder in South Stream has taken Gazprom to court over "take or pay" contracts, and in 2012, supply to Italy dropped by 12 percent.